Is MM2K6 as buggy as it seems? 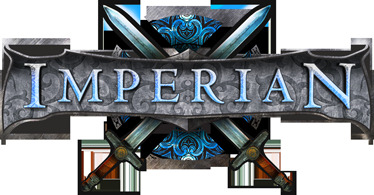 Years ago I played Imperian using the MM2K client. I recently returned and am using MM2K6 though I’m having a few problems. My questions, however, aren’t coding related, and I hoping this is the right place to ask them. 1) When I connect to Imperian and enter my character’s name I am not prompted to enter my password. If I enter it anyway I can log in. Because I am not prompted I’m unable to set an action to enter my password automatically. This is a minor issue, but I was wondering if anyone knew why this is happening. The text “Enter you password.” is simply not displayed until after I enter my password. 2) I decided to adjust the word-wrap for the main window as I had planned on using a second (and maybe a third) window for a map display and possibly one for CT, GT, Tells, etc. When I made the adjustments the word-wrap did not display properly. After several tries MM2K6 crashed. Is this a known bug, or…? 3) Finally, I had a working button set in the status bar that would take my character back to his home city with a single click. It stopped working after I tried to adjust the word-wrap for the main window. I set it back to 200 as it was before and adjusted the status bar size to 200 characters as well. I played around with various combinations and nothing worked. I checked the corresponding alias and even re-created the baritem. Still failed. What’s up with that? I’m running Windows 7, 64bit on my laptop. I’m at work so I will not be able to respond promptly if you have questions. Your input and recommendations would be greatly appreciated. So far as I know, I'm the only person left using MM2k6, so I don't know how much help you can get. 1) I am not having this issue, even without connecting through IMTS and with a brand new install of the latest version. 2) The word wrap is a bit wonky. I have to set it, close the window, open that window again, and then close it again to get the change to take effect. It's really not worth it, though, because the wrap is an ugly chop. If you have the string "Khizan, Ahkan" and set the wordwrap to 10, you don't get "Khizan,\nAhkan", you get "Khizan, Ah\nkan". I hate that, it's awful. 3) No idea. I've never used clickable buttons because clickable buttons are bad and they make you bad and you should avoid using them. Basically, anything that takes your hands off of the keyboard is awful and you should use an alias or a macro for it instead. Lies. Mena/Labil/Alt27 makes three, though he is busy overthrowing the government of Venezuela at the moment. I have never had a problem with issue 1. And I don't use buttons (see Khizan's rationale above). “We abjure labels. We fight for money and an indefinable pride. The politics, the ethics, the moralities, are irrelevant."